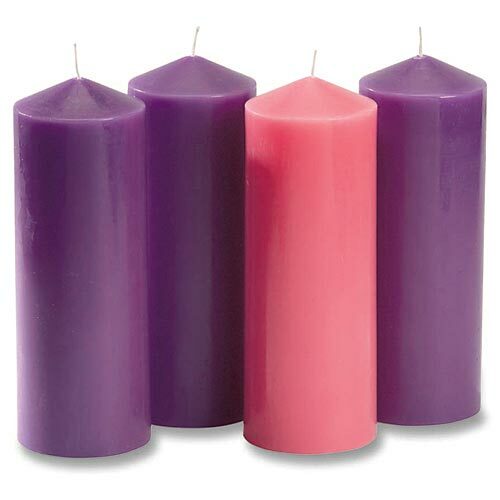 This contemporary Advent Pillar Candle Set is a versatile solution for your Advent celebration needs. Display on a stand at church or home to create an atmosphere of preparation, or use in an office or on a dresser at home for a more personal celebration. 8" H x 3" Diameter.